Coca is a senior cat who was left looking for a new home after her loving owner passed away with no friends or family able to help with Coca or her buddy Cola. The adjustment to life in foster care was tough on her, but Coca has persevered and is ready find a forever home again. Coca is enjoying her time with her foster family after a brief adjustment period. She loves to receive pets and cuddles and enjoys soaking up a good sunbeam. Although she's settled in well, change is hard on old gals like Coca, and she would do best in a quiet home without your children or multiple pets. 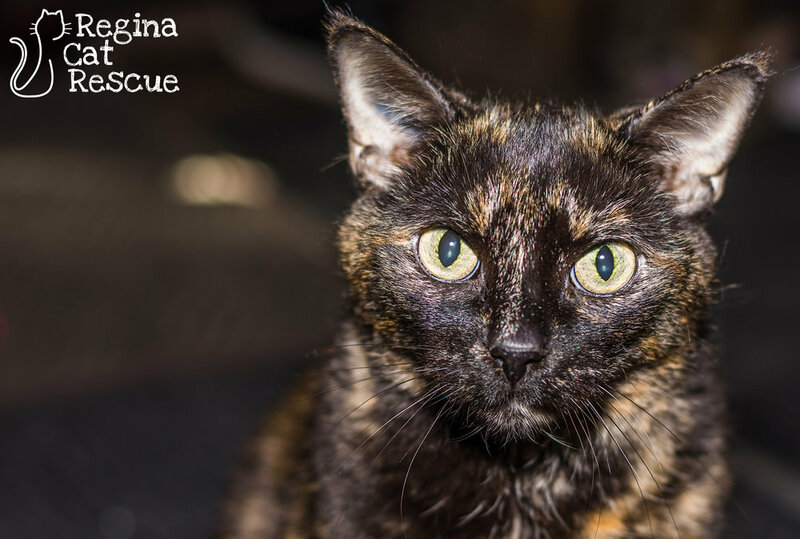 Coca still has lots of love and affection to give to a kind cat lover with a soft spot for older kitties! 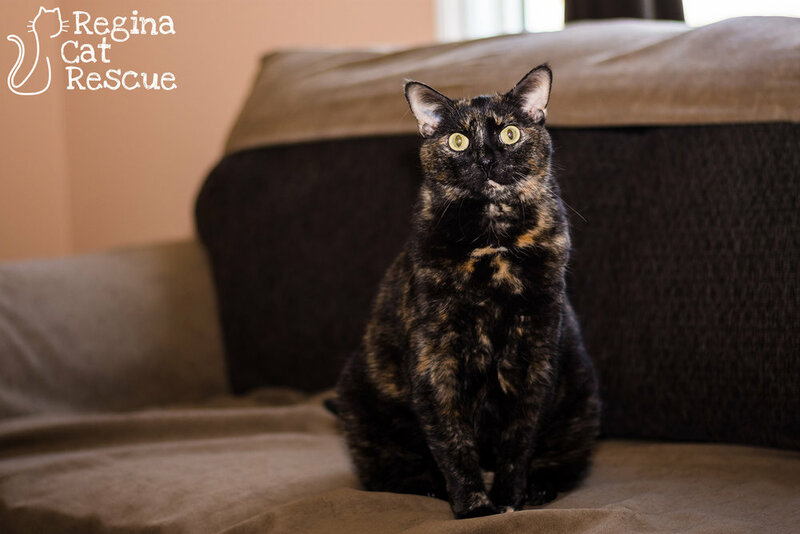 If you are interested in Coca, click here to view our adoption contract and click here to complete an adoption application or email the RCR Adoption Coordinator at adoptions@reginacatrescue.com for more info. All adoption fees and sponsorship donations contribute towards veterinary care and other costs associated \with caring for Regina Cat Rescue rescued cats and kittens.